Monday night Google posted an update on the Google Webmaster blog named Upcoming changes in Google’s HTTP Referrer. Starting in April, for browsers with the appropriate support, we will be using the "referrer" meta tag to automatically simplify the referring URL that is sent by the browser when visiting a page linked from an organic search result. This results in a faster time to result and more streamlined experience for the user. Very confusing - I thought, why would Google want to label organic search traffic as direct referrer traffic? Is that a privacy thing? Okay, don't pass keyword data, which you stopped doing since Google defaulted to SSL search. But now to take away the knowledge of the traffic coming from search vs a direct hit? Really? You can read how confused I was about this on Google+. Danny Sullivan reached out to Google for more details and got more information for his story named How A Google Change May Mistakenly Turn Search Traffic Into Referral Traffic. (1) This only currently impacts browsers that can support the HTTP referer, which is only the latest version of Chrome. (2) Google Analytics will automatically adjust to make sure this traffic is not labeled as direct traffic but rather search traffic. 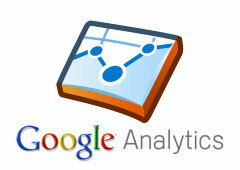 (3) Google will communicate to other Analytics companies about the change in hope they adjust their software as well. The issue here is, of my Google organic traffic, 33% of it is from Chrome users. And Google sends this site about 90% of it's search traffic overall. I am already missing 30%+ of my keyword data due to the (not provided) issue with SSL search. Yea, Google has keyword data in Webmaster Tools, but it is not enough. In any event, Danny's story really digs into the issues here. Also Web Analytics Land gets more technical on what is changing. Forum discussion at WebmasterWorld, Google+ Pedro Dias and Google+ Danny Sullivan. Previous story: Quality Is A Google Ranking Factor But What Is It?